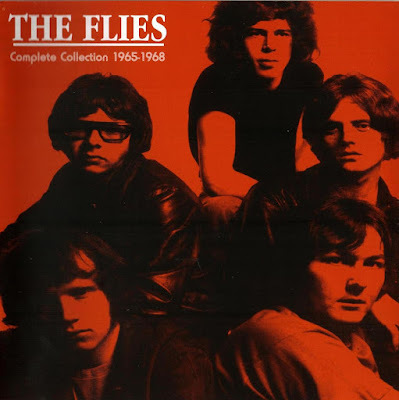 Complete Collection 1965-1968 The Flies did manage to put out one more single on RCA in 1968, another middling piece of pop-psych titled "The Magic Train." Some unissued demos from the time show the band moving toward a more organ-based, ethereal sound, but the group disbanded at the end of that year. Members surfaced in the subsequent obscure British psychedelic/progressive groups Infinity, Please, Bulldog Breed, and T2. 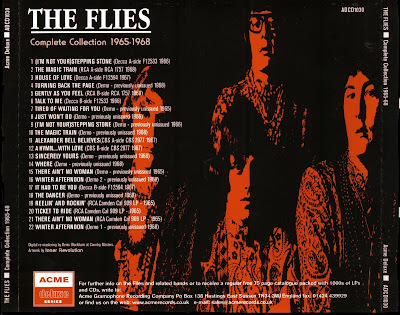 In addition, while still in the Flies, singer Robin Hunt recorded a very British, fey pop/rock-psychedelic 1967 single for CBS under the pseudonym Alexander Bell, "Alexander Bell Believes"/"A Hymn...With Love." 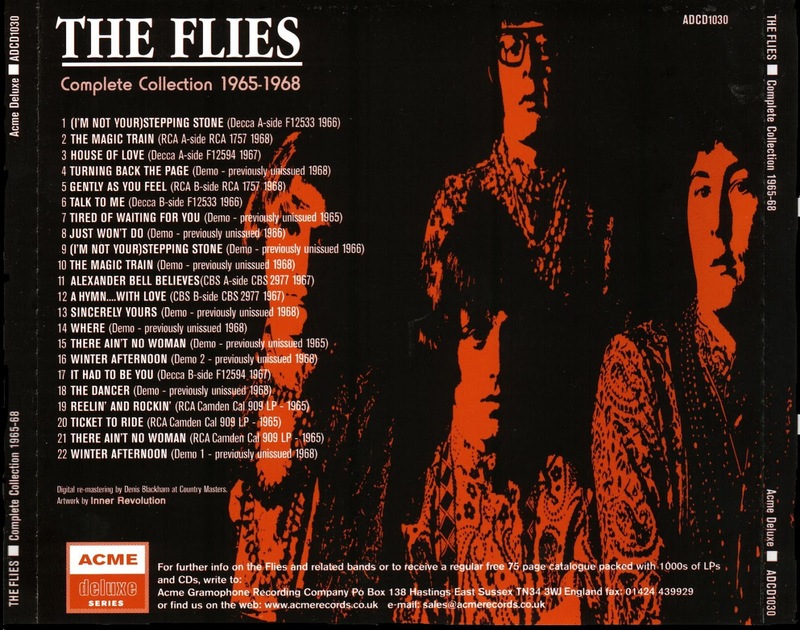 All six sides of the three Flies singles, as well as both sides of the Alexander Bell 45, various 1965-68 demos, and cuts from the In-Sect album, were reissued on the CD Complete Collection 1965-1968. Thanks. A great rather obscure band. Their version of (I'm,)not your steppin' stone is one of the best I heard. Thanks for the Flies I was looking for it!